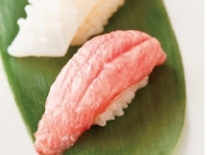 Sushi Taira in Roppongi, including seasonal ingredients that carefully selected by craftsmen, from Kanazawa, Karatsu, a fresh fish farm such as from Hokkaido, using domestic rice and the three types of red vinegar that was specially formulated. We provide a first class of Edo-style sushi. 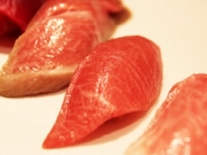 Please by all means enjoy the exquisite hand-rolled sushi, fragrant sushi rice. 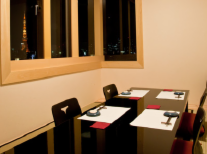 The seating is a spacious counter seating and Japanese style seating in private room with exceptional Tokyo Tower view which is being illuminated at night. 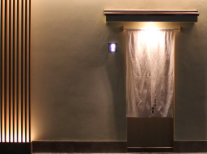 Please enjoy dining at these sophisticated and calm space with Roppongi night view. Sushi Taira in Shirokanedai, to cherish the flavor of the four seasons` ingredients, you can enjoy the essence of Edo-style sushi that has been cultivated in history and tradition. 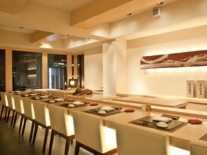 After tasting the sushi, you can feel blissful of various well-honed Japanese cuisine that connecting together. 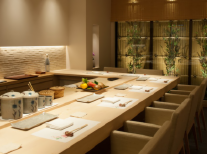 The store`s counter is luxury made from a single board of Japanese cypress. Not to mention about topping, rice, water, and coal is peculiar; water is mild and velvety taste because it is boiled in traditional Nambu Tekki Ironware (iron teakettle), and the coal is using white charcoal. Please enjoy the quality time at the quiet cityscape of Shirokanedai for the ultimate Edo-style sushi that you can taste only in "Sushi Taira". 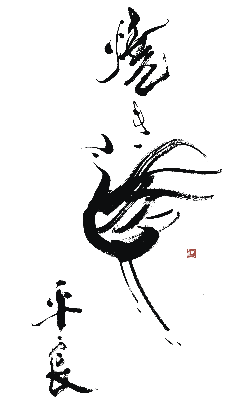 Copyright yakitori taira . tokyo. All Rights Reserved.